Amax Fire and Security Ltd. Subscribe Axcys News You Can Use! 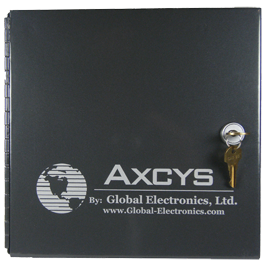 Copyright 1995-2012 Global Electronics, Ltd. All Rights Reserved. Wide Gap: 1.5” Min. to 2.0” Max. 12” - 18" Leads Std. Copyright Global Electronics, Ltd. 1995-2018 All Rights Reserved. Global Electronics reserves the right to modify in any way, any of its products, at any time, for any reason, without notice. Get Axcys News You Can Use!